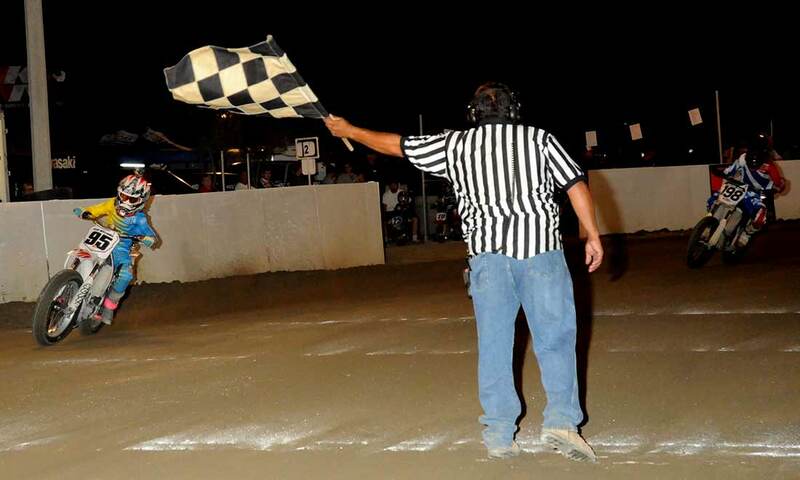 #51 Casey Cahoon was chased all the way to the checkered flag by #29 Zach Johnson. Cahoon rode without mistakes though and brought it home for the win. 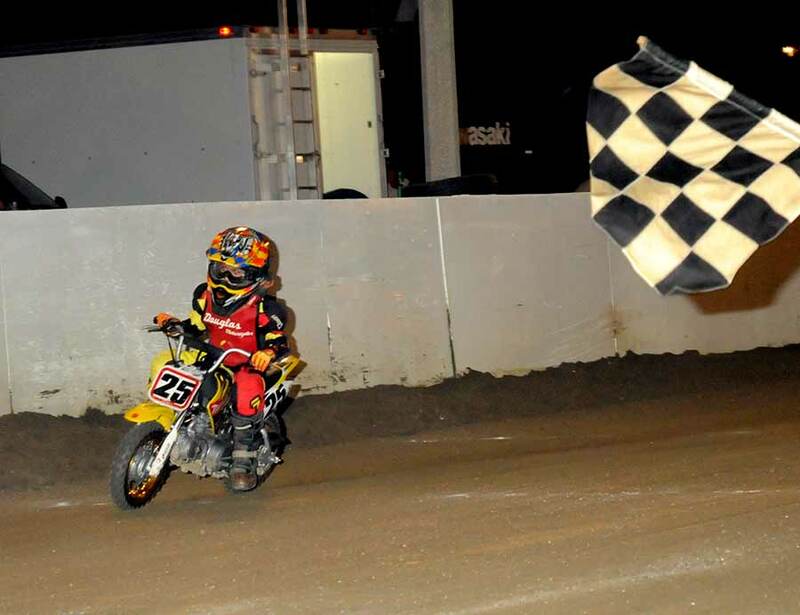 #26 Travis Freidrich beat #4 Henry Canan to the checkered flag in the Open Novice "A" Main event. 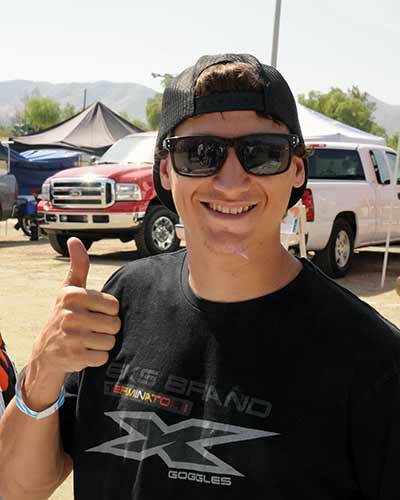 Freidrich's fastest lap time was 16.04 seconds. #71m Jon Nunes fought through a large field to win the Vet +35 class. 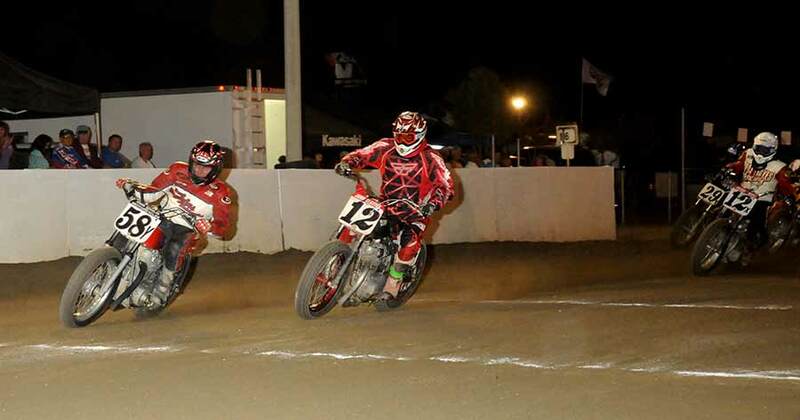 Here he leads #12e Jeff Lessley and his fast Bultaco! 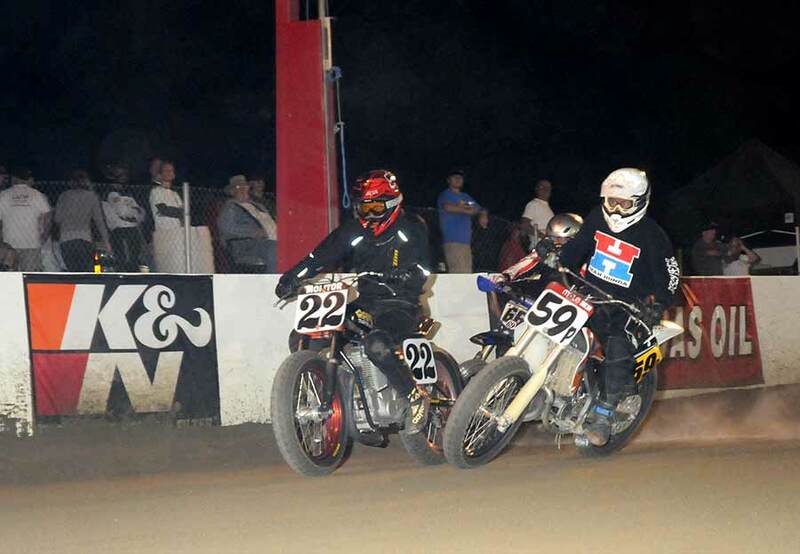 #58y Jim Ottele topped #12 John Clayton the 3rd, #12x Patrick Hayes, and #29 Steve Fortune to win the Vintage 750cc Main Event. 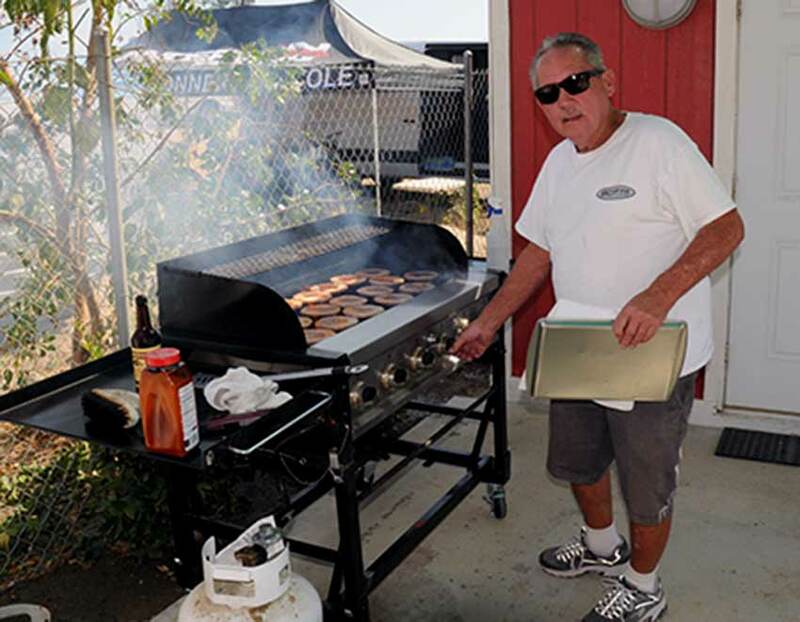 #87 Jeff Johnson ran away with the Senior Vet +50 Expert class! 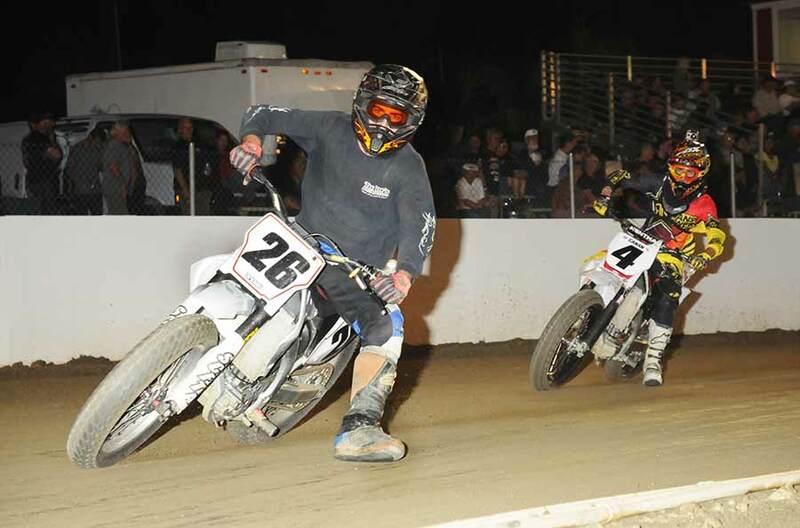 Johnson and his FAST TT-500 turned lap times under fifteen seconds all night. 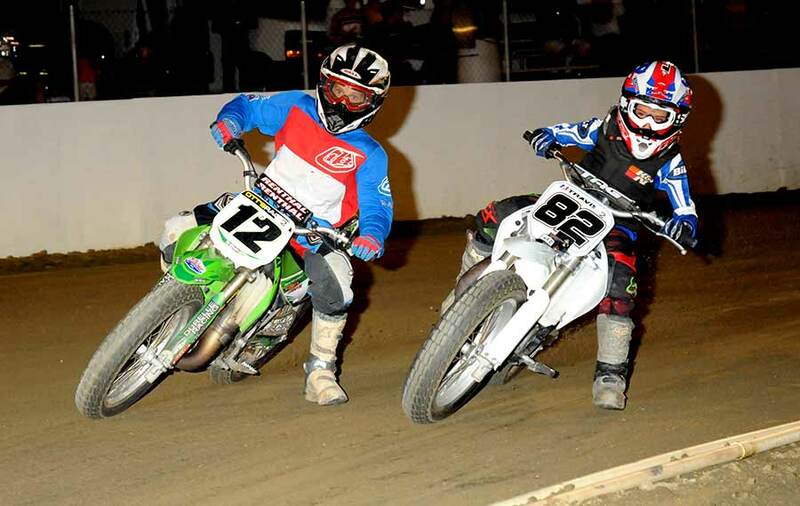 Then he put Pro racer Rob Pearson on the bike, which Pearson put into the Pro main event! The Powder Puff class for breast Cancer Awareness had ten entries. Front row from pole are #83 Harly Legowski (winner) #54Kitty Hoole, #12 Monica Gil (second place), #23w Robin Lee, #75z Dee Kilroy (third place), & #2 Sandi Weidler. 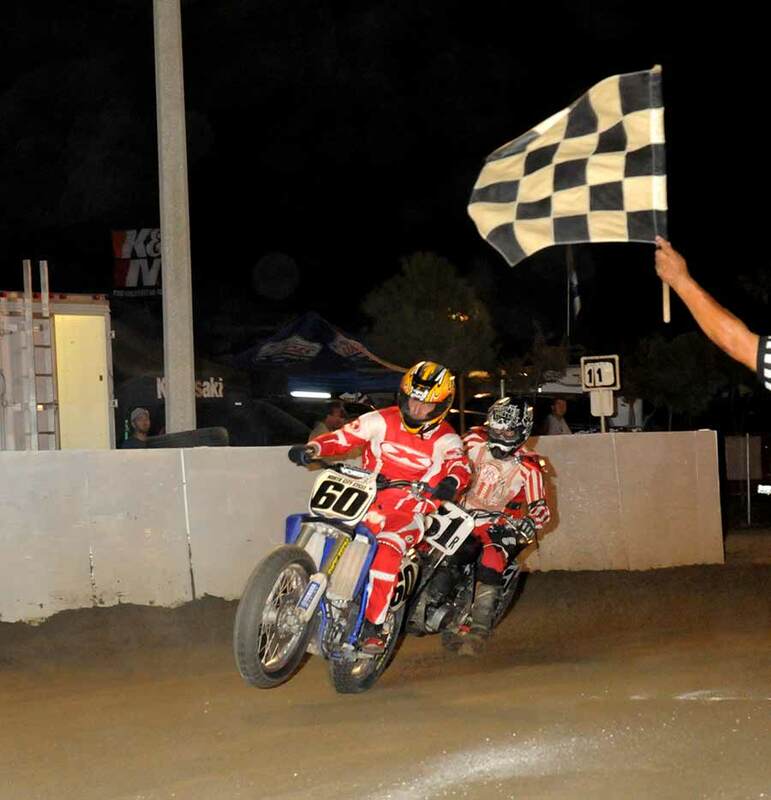 #60 Neal Hartman just held off #51r Mike Boal for the victory in the +50 Novice class. Hartman's best lap was a 16.34 second one. #59p Richard Pollack had a little trouble off the start but still went on to win the Super Senior +60 final over #22 David Molitor. 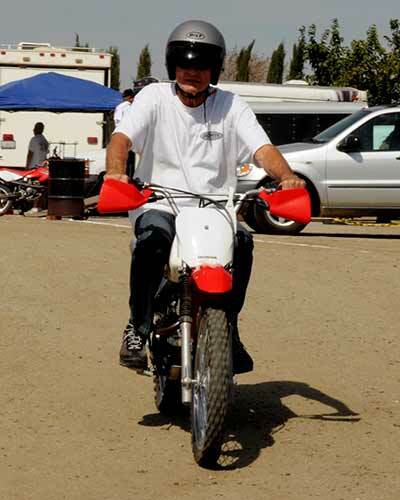 Pollack was aboard a 125cc mount but still managed to turn a 15.74 second lap time. 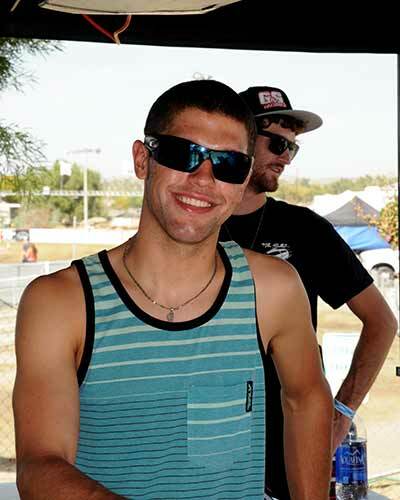 -#46 Andre Ochs has raced dirt track, super-moto, and road racing. 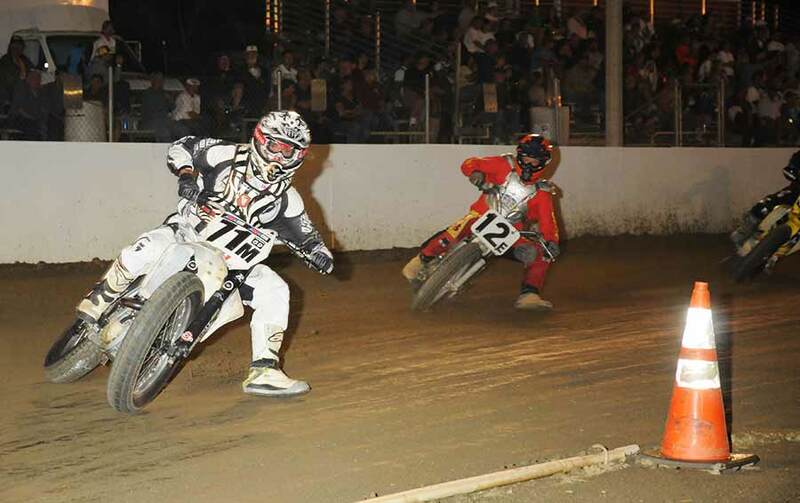 He has returned to the discipline that started him racing; dirt track. 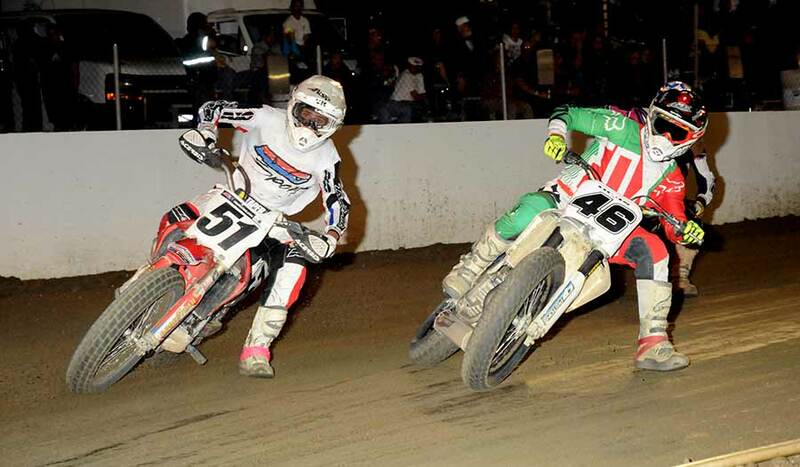 Here Ochs goes under #51 Casey Cahoon and goes on to victory in the Open Unclassified Main Event. Ochs had a 15.34 second lap time. 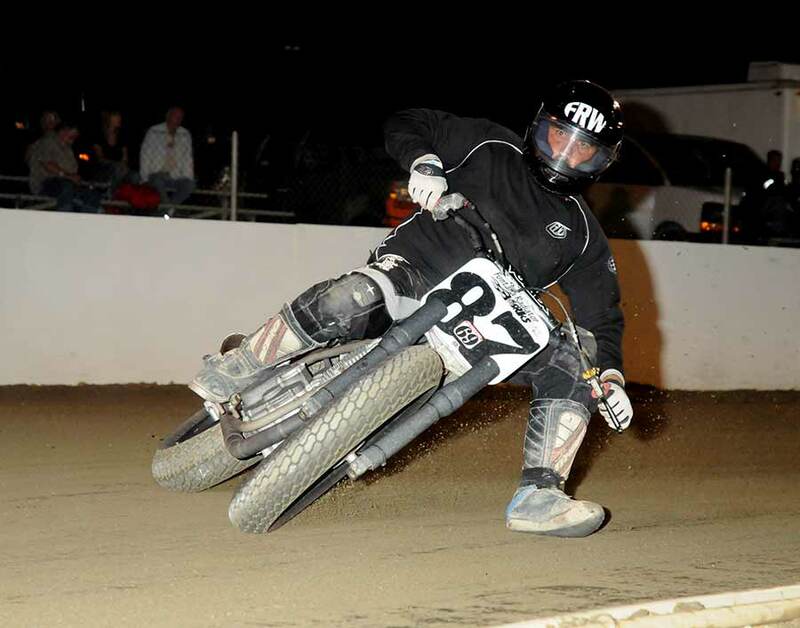 #25 Travis Horn rides a high line around Perris and carries more corner speed than anyone in his class. 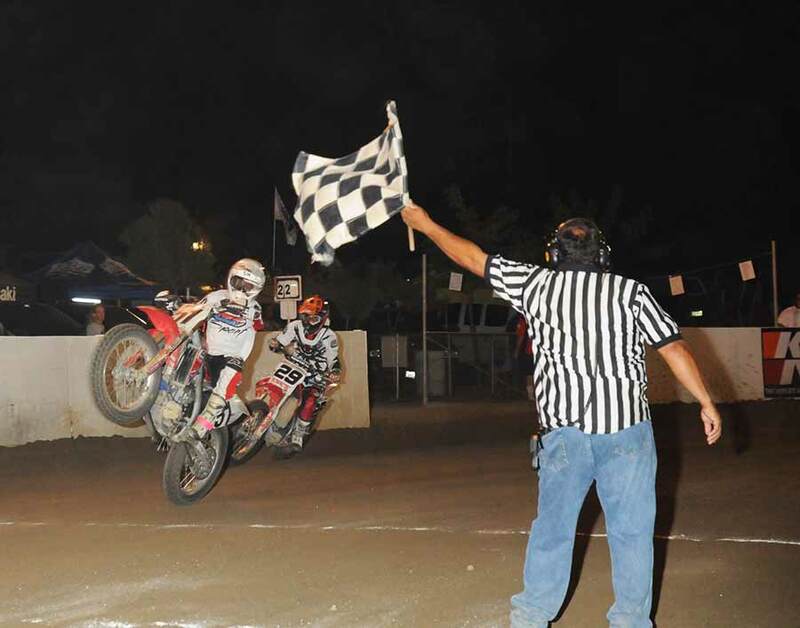 Travis won the 50cc 4-stk Novice Main and had the overall fastest lap time of a 50cc machine at 19.13 seconds! 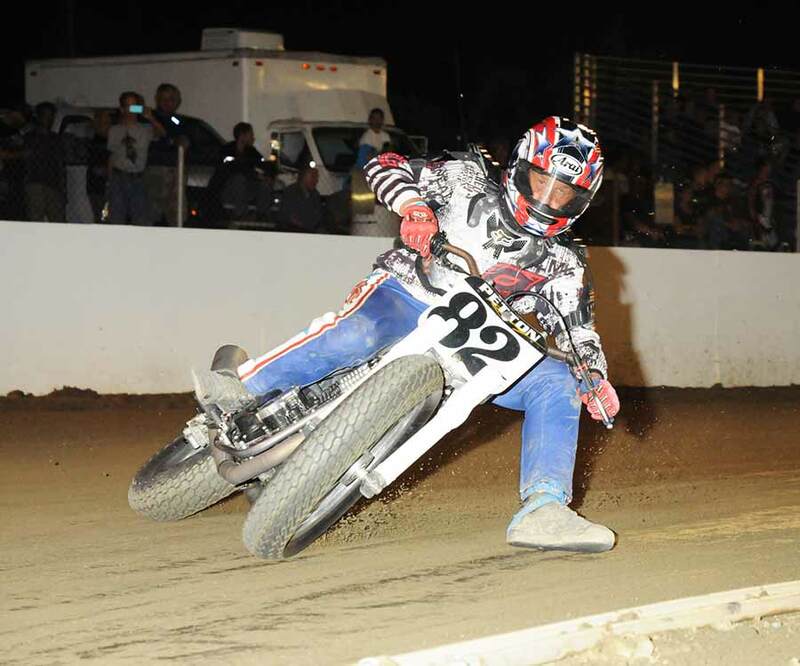 #82 Travis Petton the 4th slipped under early leader #12 James Ott to win both the 85cc 2-stk Novice and 85cc Open Main Events. Ott finished second both times. Petton's fastest lap of the evening was 15.54 seconds. 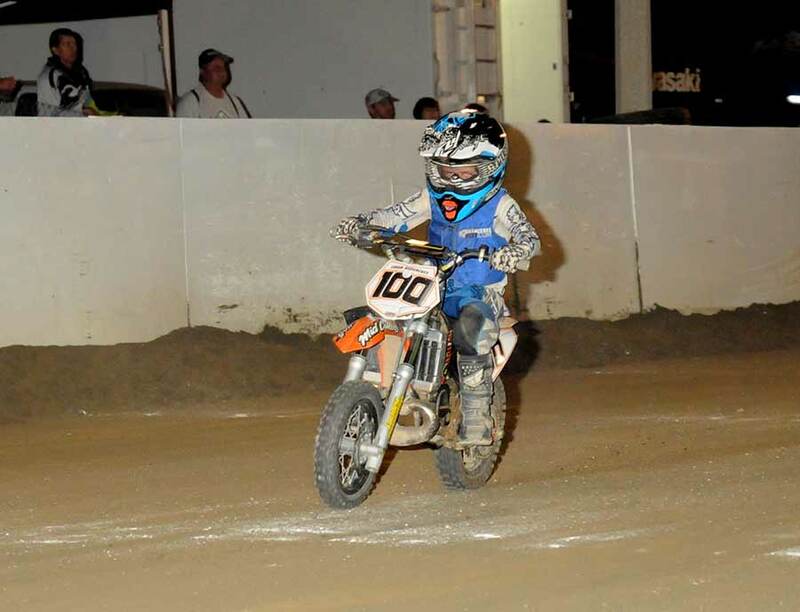 #100 Logan Daugherty was the big winner in the 50cc 2-stk Beginner main event. He also had the fastest lap time at 20.69 seconds! #95 Clayton Williams of Bakersfield, Ca. 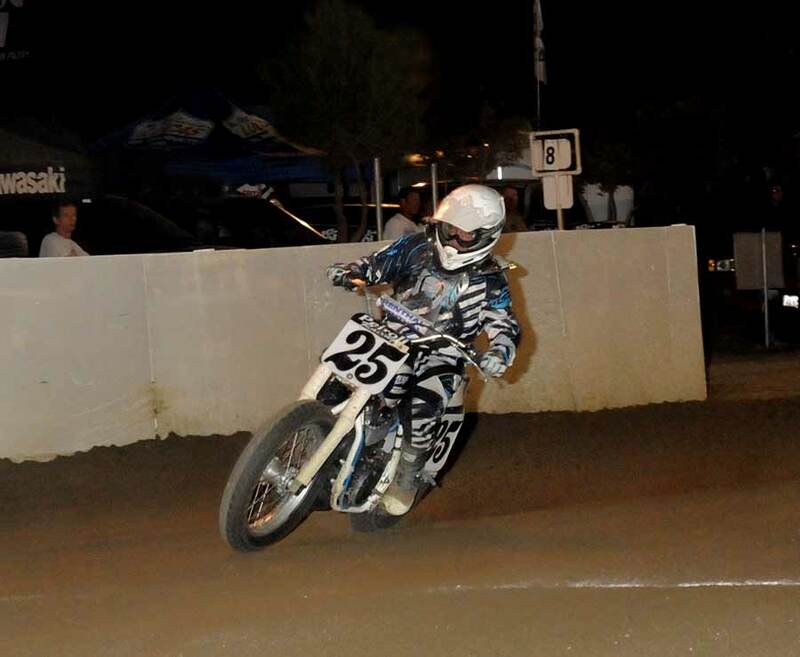 won the 250cc Youth Open main event and came back to take third in the Open Amateur Main as well. Williams fastest lap time was 15.37 seconds!!! #198 is Alex Crosby finishing second. 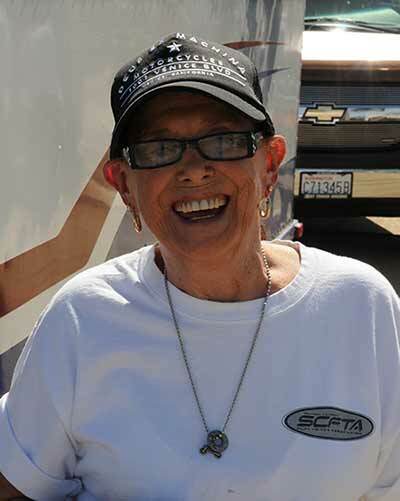 As you pull through the front gate at Perris Vera always greets you with a smile! 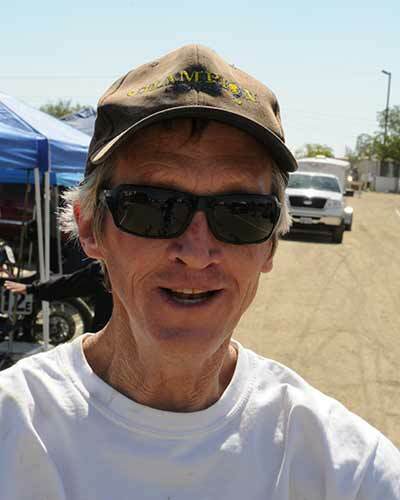 Brad Baker was confident at Perris and for Pomona. Mikey Rush was all thumbs up prior to the start of the program. Rush has looked good all season long. 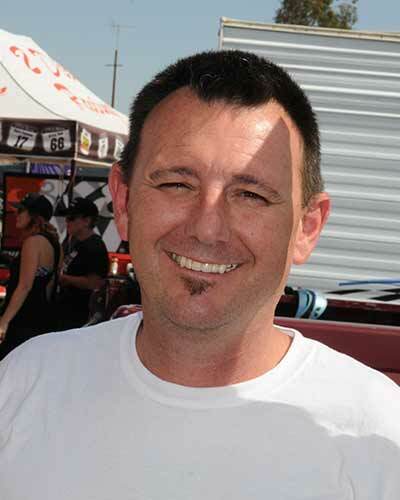 Ronnie Brown is heading up Mikey Rush'es racing program. He's happy with the way the season has went. Jimmy Lundgren has really picked up his pace this season! He's always a front runner despite the lack of displacement under him.